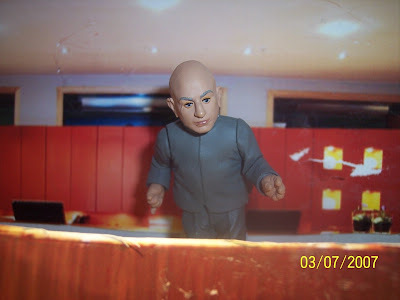 Hello Minime science editor for the ChuckyNewsChannel here. The SacBee ran an article on how house Democrats were confonded by the pay system of Medicare. The article goes on to say the system is broken. No fooling you'er the guys that broke it. Remember the King-Anderson bill? Remember Johnson flying to Indendence, Missouri to sign the bill in front of Harry Truman, who so many years before had allowed the bill to die in Congress, just as Kennedy had done? So with the Democratic congress and help from Americans for Democratic Action we had the birth of medicare. Now like a bunch of 2 year olds they sit around and try to fix what they broke.